Nocturnal Tapes are here. 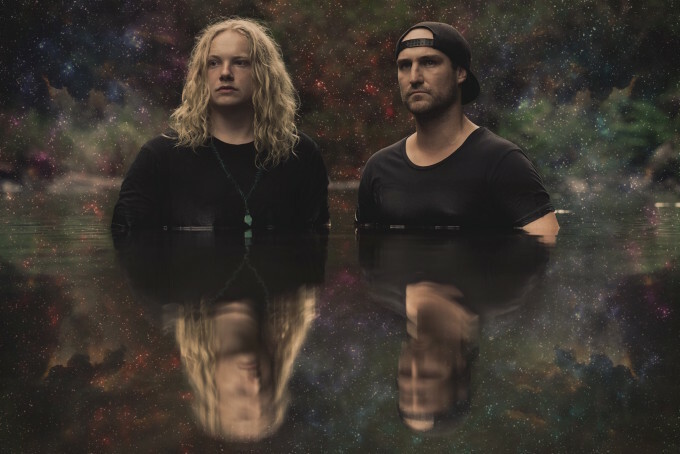 And with their debut single ‘Superficial Light’, the boys (Harry and Lachlan) are sure to put their tiny New South Wales coastal home town of Yamba on the map. They’re tumbling towards the end of their current national tour (Byron Bay tomorrow night and Brisbane on Saturday night), but it’s a great time to Get To Know them a little more. 01. Band name : Nocturnal Tapes. 02. Where are you based? Yamba maaaate. 03. How did you choose your band name? We had been reading a lot about older audio recording methods with magnetic tape as well watching documentaries on the beginnings of sampling and became increasingly interested in achieving a sound associated with the use of tape as a recording medium. Basically it’s our music created in the night and performed in the night. 04. Who are your members? Harry Suttor // Lachlan Mulligan. 05. How was the band formed? Each of us had projects we were working on, but on weekends we’d like to get together with a bunch of creative locals and setup all of our instruments and play whatever we were feeling at the time. At any one time there could have been eight to ten people jamming, singing, making noise. After one of these sessions, the two of us decided to record a track in the home studio and came out with a live set instead. 06. In what ways has the band changed from when it was formed to today? From the beginning we have focused on the performance aspect of our music, always looking for new ways to keep the arrangements ‘fresh’ and evolving. Experimenting with new instruments and effects as well as refining our rig would shape the music that we could create on the fly. We also have a Facebook account now. 07. Tell us a little bit about your sound. Turn your lights out, turn on your heater, multiply your current volume by 20-30 times and double the track length for a glimpse of the live show. , ‘Da Funk’ – Daft Punk, ‘Daft Punk Is Playing At My House’ – LCD SOUNDSYSTEM. 09. Tell us about your latest release. We wrote the song last year shortly after we formed, it came out of a jam we were having with a newly purchased hardware drum machine. This together with a bubbling analog synth gives the song its initial groove. The song builds to a finale of thick synth layers and sidechain sweetness. 10. What do your future plans involve? I’m pretty keen on a sandwich after that who knows. 11. Where can our audience catch you live? Beach Hotel, Byron Bay – March 04, Ric’s Bar, Brisbane – March 05.